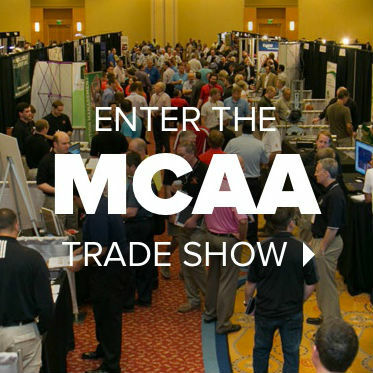 Virtual Trade Show / Smart Solutions Case Studies / Are Your Office Workers Getting the Same Level of Ergonomics Care as Your Jobsite Workers? Whether sitting or standing, follow these guidelines for setting up individual workstations. Sedentary behavior is a significant health risk and a major contributor to obesity, type 2 diabetes, cancer, and cardiovascular disease. Sedentary jobs have risen 83 percent since 1960 and now account for 43 percent of all U.S. jobs. One study found that an extra hour of sedentary time per day was associated with a 22 percent increase in type 2 diabetes and a 39-percent increase in the odds of developing metabolic syndrome. Another estimated that prolonged sitting is responsible for 430,000 deaths across 54 countries and that sedentary behavior is the number-two risk factor for mortality, second only to smoking. Sitting at a typical office workstation can increase disc pressure in the low back, placing the body into a static posture and thus increasing the risk of heart and kidney disease. With this in mind, more organizations are taking proactive steps to identify and address sitting during the workday. On the other hand, prolonged standing work is associated with its own health problems. Standing puts greater strain on the circulatory system and on the legs and feet, and the performance of many motor skills is reduced. Prolonged standing is associated with the development of varicose veins. In addition to health risks, workers may see a decrease in dexterity when working while standing. What Are the Advantages of Standing? The combination of sitting and standing through the workday seems to offer the best solution to this issue. The human body responds best to a balance of both dynamic and static activity, and a sit/stand workstation could meet these needs. on a frequent basis may not need to alter how they work. However, employees who experience discomfort or pain in the back or upper extremities and who do not get up from their workstations very often may benefit from this solution. overweight individuals may not feel comfortable standing at a desk under any circumstances. Alternate between sitting and standing on a regular and frequent basis. For example, spend 20–30 minutes standing and then sit for 45 minutes to an hour. Wear good supportive shoes, not shoes with a heel. Use a foot rest to raise one foot off the ground, changing the tilt of the pelvis. Do not stand in a static posture; move from side to side. Provide height-adjustable work surfaces with keyboard trays that will fit both sitting and standing users. The keyboard and mouse should be at the same level—at or slightly below elbow height. Make sure the keyboard, mouse, and monitor height are set at the correct level for the employee in either the sitting or standing position. Place the monitor approximately an arm’s length away. The top of the screen should be slightly below eye level, with the brightest light source to the side and not directly over the monitor. The employer should provide training and education on how to adjust workstations to accommodate individuals of different sizes and heights. Education should focus on the fundamentals of ergonomics and the benefits of good neutral postures. Employees should change positions on a regular basis. Individuals can walk around to get a drink of water, make copies, or speak to a colleague, for example. 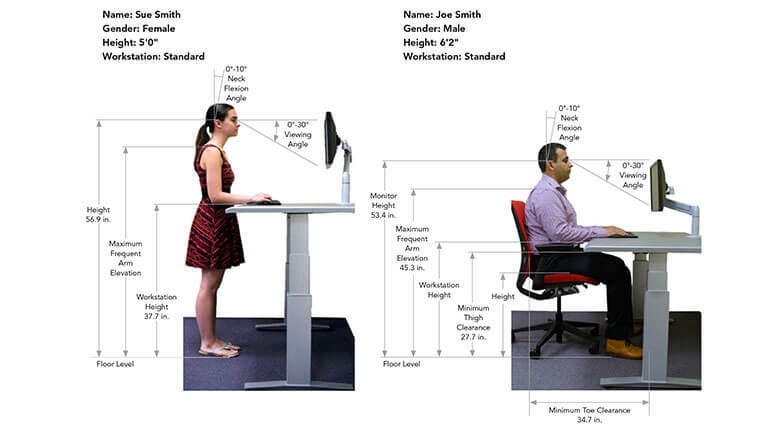 Users of a sit/stand workstation can get the most benefit by incorporating more movement into a workday. Employees should alter their posture often through the day and not stay in one position for an extended period of time—whether sitting or standing. For more information about CNA, visit www.cna.com/riskcontrol. Modified from the CNA Risk Control Bulletin “The Sit/Stand Paradox.” The information, examples and suggestions presented in this material have been developed from sources believed to be reliable, but they should not be construed as legal or other professional advice. CNA accepts no responsibility for the accuracy or completeness of this material and recommends the consultation with competent legal counsel and/or other professional advisors before applying this material in any particular factual situations. “CNA” is a registered trademark of CNA Financial Corporation. Copyright © 2018 CNA. All rights reserved.